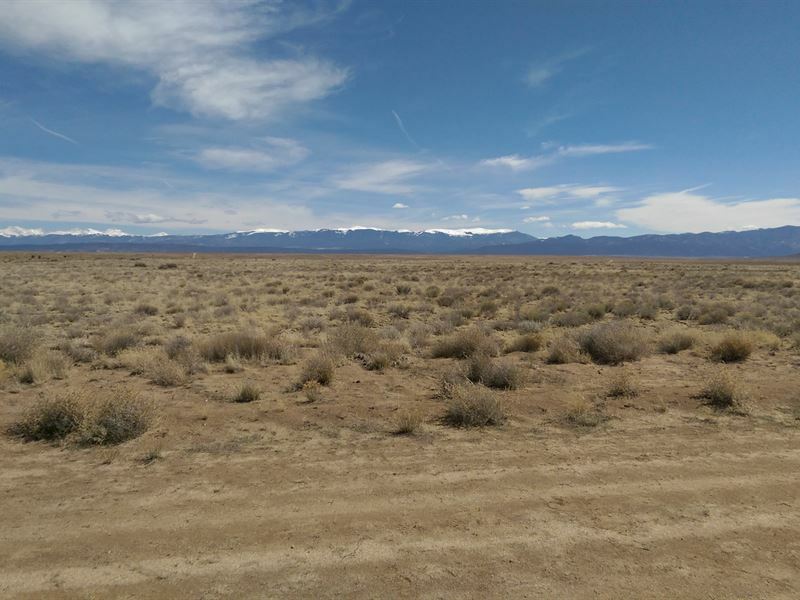 The San Luis Valley has a well-deserved reputation as a sportsman's paradise. Herds of elk, deer and wild turkey roam the subdivision of Rio Grande Ranchos. Fish from the Rio Grande River are plentiful. Wild horses are also frequent visitors. No less than four boating and fishing lakes are within 45 to 50 minutes. Check out Zapata Falls, the many horse trails, and the fishing and boating lakes such as Smith Reservoir - stocked with trout, walleye and bass - within 45 minutes to an hour away. Other recreation options include the Great San Dunes National Monument with camping, hiking, ATV trails, and majestic views. Ski and art enthusiasts can enjoy Taos, New Mexico, an easy 45 to 50 minutes south. Taos - popular for both its skiing and for its well- known art colony, attracting literally thousands of tourists each year - can become your own backyard playground. Other ski areas within 1 1/2 hour's drive offer beginner, intermediate, and pro slopes with snowboarding areas. While I have included pictures of the Rio Grande River, the property is actually not next to the river, the river is a long walk or a very short drive away -- less than three miles.